...Or perhaps the title should have said 'Phantasy' RPG series. 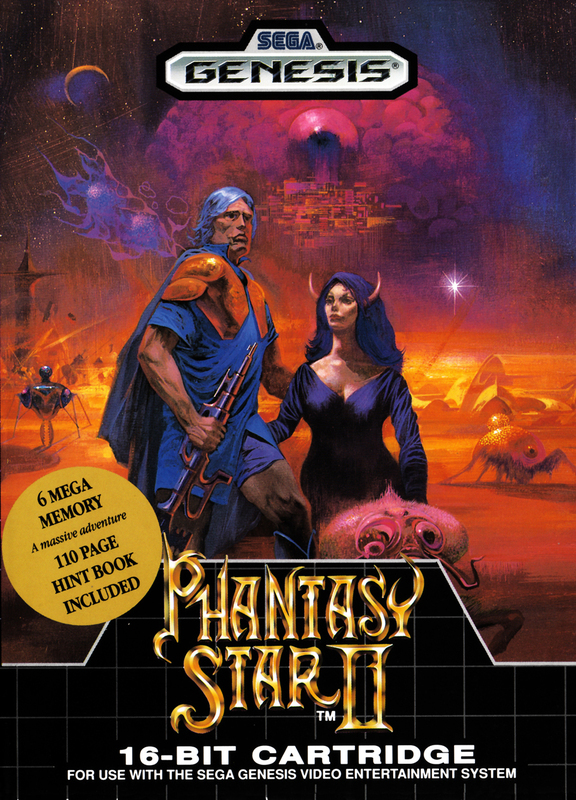 Specifically, for my retro reflections this week, I want to talk about Phantasy Star II, though I spent ample time with parts three and four as well and will likely talk about them down the road. Now, the very first game in the series, Phantasy Star, was one that I missed completely the first time around. It was an odd thing when I was younger, because my uncle bought me an NES - and none of my friends had a Sega Master System. So I would sometimes read about Sega games in magazines (I was subscribed to lots of gaming mags as a kid), and there were some that always looked really interesting to me, but it would be years later until I played them. Fast forward a bit however, and instead of a Super Nintendo, my uncle gave me his purchased but hardly used Sega Genesis. 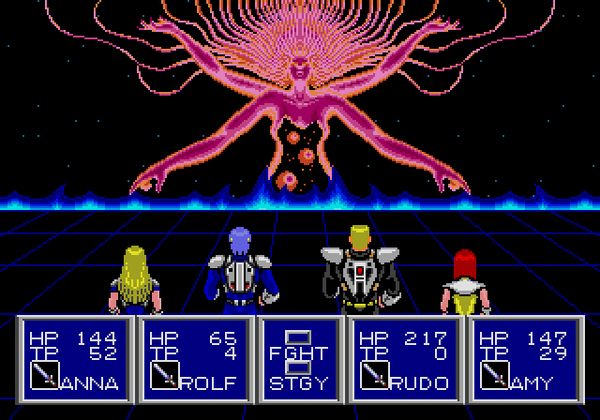 This is when I was introduced to Phantasy Star II, which takes place well after the events of the first game - not that you have to be familiar with the story (I was not) to enjoy what Phantasy Star II had to offer. There were some pretty familiar mechanics to the game such as turn-based combat, multiple characters that could comprise the team and a lot of grinding. These were all things I was very familiar with. 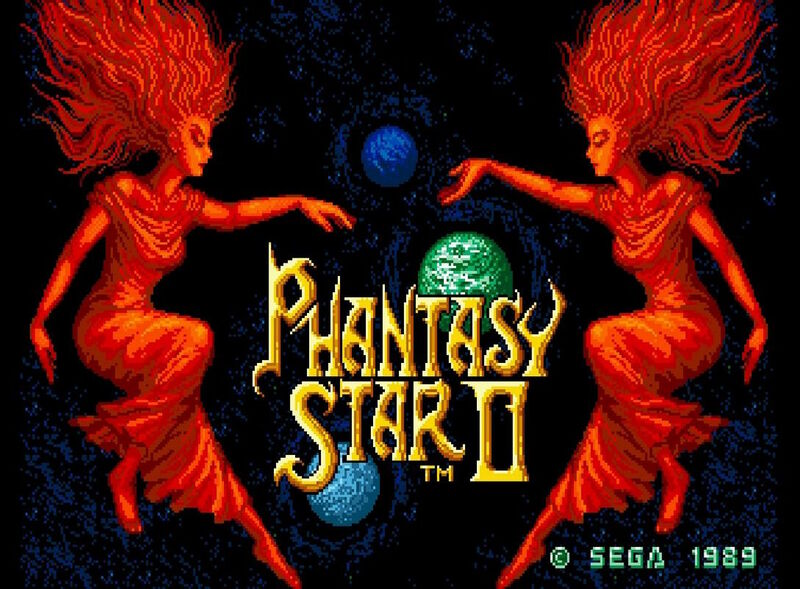 While Phantasy Star II had a lot of similarities to other RPGs I had played previously, it immediately stood out to me not only for its next-gen visuals (which I was in love with at the time), but also how it felt like more of an even mix of science-fiction and fantasy than most other RPGs to that time, which were more heavily slanted towards fantasy. The story opens with a fellow called Rolf having a recurring nightmare that makes it hard for him to sleep. Rolf is also a soldier, and as such receives a variety of missions that generally focus on keeping monsters at bay so their civilisation remains safe. One of the most important parts of the story is the character of Nei, who is like a sister to Rolf. For many players, the fate of Aerith in Final Fantasy VII was one of the first times they experienced a character death that really stuck with them. Without a doubt that scene in Final Fantasy VII was an impactful one, with touching music and a great deal of emotion, but Nei's demise in Phantasy Star II may well be the first time that a significant protagonist dies (and isn't returned) in a game. Primitive as it is today, that's still impactful stuff. I remember after Nei's death thinking: there's going to be some way to get her back. She can't stay dead. She's too important to my team. Well, the longer I played the game, the more it began to settle in that no - Nei was not coming back. This was one of the two things that really allowed Phantasy Star II to stand out in my mind, but the other was the ending. Most video games of this nature had very definitive endings. Now, that is not to say all games did (I can't tell you how many times I beat some games just to get plunked back down at the beginning with no real conclusion to what I had been playing), but RPGs were often built around a story and a definitive goal in mind. As such, your character or party had a tendency to see things through to the end, beat the ultimate evil and save the day. Where Phantasy Star II was different was in the way the ending played out in open-ended style. Your party is on a remote location, the evil behind everything revealed as your heroes take on a never-ending army of opponents. It was satisfactory for the most part, but I recall thinking at the time that there had to be more. Sure the odds were beyond overwhelming, and I came away with the feeling that my team helped to create peace for the people they were trying to protect, but likely were slain in doing so. That heroic character who fights a losing battle is a theme that been common feature of so many stories, both in games, and in literature and film before it. That "going out in a storm of fire" is by no means a happy ending, which might leave you feeling downbeat, but it is an emotional one. There were a lot of themes in Phantasy Star II that really resonated, and it was really impressive for the time that the story was so very character driven and that it was willing to go after topics such as self-discovery. As it turns out, Phantasy Star ended up being something of an innovator to the genre. Phantasy Star III was far less popular by comparison, but really did some interesting things with consequence-based storytelling across multiple generations of characters, and Phantasy Star IV opened the series up in new and interesting ways. All that really lets Phantasy Star II down by modern standards is an obscene level of difficulty, and dungeon designs that were obtuse to say the least. Most people needed maps to get through these ones, and being able to complete Phantasy Star II without a map is a feat that deserves recognition, because even after you've worked through the dungeons a couple of times, the incredible encounter rate and twisting design can really throw out your memory. Final Fantasy has had more success overall than the Phantasy Star series. It has grown and evolved over the years and different console generations (to mixed reception depending on your thoughts on the series along the way). 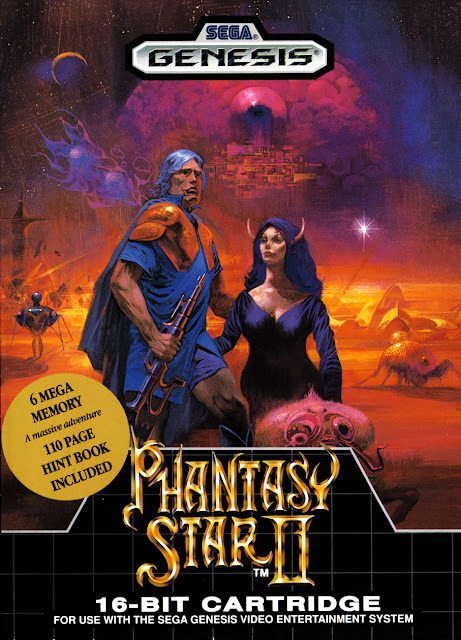 That being said, Phantasy Star II stacks up well today, and I would argue that Phantasy Star II was as important to the RPG genre as almost any of the Final Fantasy titles, and is a game that you can find on a handful of newer platforms today. Item Reviewed: Retro Reflections: On that 'other' fantasy RPG series 9 out of 10 based on 10 ratings. 9 user reviews.